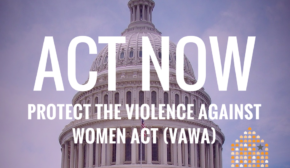 March 7, 2013 – Today, Thursday, March 7th, President Obama will sign the Violence Against Women Reauthorization Act (VAWA) of 2013 into law. The highly anticipated signing secures needed protections and services for victims of domestic and sexual violence. VAWA 2013 is a strong reauthorization that includes landmark protections for women on Tribal lands, improves protections for immigrant victims, ensures services for LGBT survivors, and adds important housing protections for victims. The bill also preserves and maintains core funding for life-saving victim services. “This law will substantially improve access to justice and services for ALL victims” said Gandy. VAWA’s movement from a bill to a law is the result of a collaborative effort between survivors, advocates and Congressional champions. 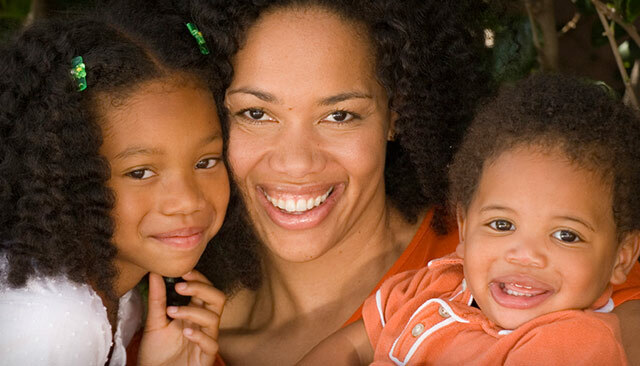 In 2010, thousands of advocates joined calls to begin discussing how VAWA could be improved to better meet the needs of victims across the nation. In the years since, national organizations, state coalitions, local service programs, and victims and advocates across the country have spoken out, working in partnership with each other and with Congress to help push VAWA toward passage. “We know that this bill could not have reached the President’s desk without the outstanding commitment of dedicated advocates and Congressional champions. In particular, we acknowledge the steadfast leadership of the bill’s original sponsor Senator Patrick Leahy (D-VT) and its co-sponsor Senator Mike Crapo (R-ID), and leaders in the U.S. House of Representatives including Representatives Gwen Moore (D-WI), John Conyers (D-MI), Nancy Pelosi (D-CA), and the many others in Congress who stood together for a final bill that truly reaches all victims. With the significant and much-needed changes and improvements included in this reauthorization, the law will require coordinated implementation and funding to ensure that it reaches its potential. “We look forward to working with partners across the nation to turn the letter of VAWA law into avenues for safety and justice for all survivors,” concluded Gandy.